With an awesome team to choose from, we welcome you to meet your instructors. 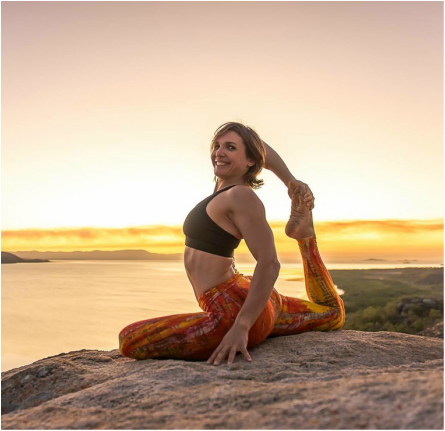 There is nothing more rewarding than sharing my knowledge of human movement, my love of fitness, and my passion for Magnetic Island. Seeing people discover what they are capable of while they enjoy themselves is incredibly rewarding. And I figure if you do what you love, love what you do and have fun while you're doing it, well it doesn't get any better than that! I am a 32 years old Australian Frenchy with a passion for endurance sports. I have played tennis during my childhood at national level, I switched sports to get strong in rock climbing and enjoyed discovering amazing cliffs all over France. The love for mountains made me start trail running, which has taken some slightly obsessive features over the years. I have performed in many road and mountain races throughout Europe, from 10km distance up to 100km ultra’s. 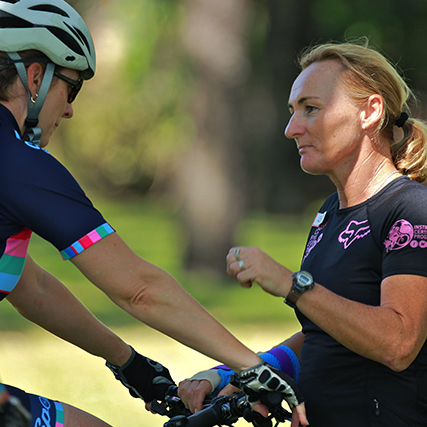 My passion for sports and eye for detail made me start coaching fellow sport enthusiasts. I have always been passionate about training and love to help people reach their goals, I use my skills and experience to offer personalized training programs that suit you and your goals. 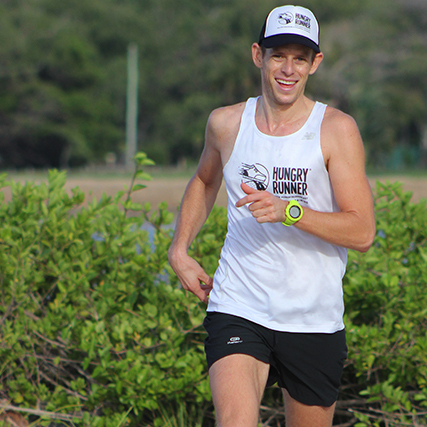 I work with a range of runners, from the fun runner to the high performer runner. I love to ride my bike. Any bike. I've been riding for about 20 years. I started riding to do triathlons, however when an injury left me unable to run for a year I discovered mountain biking and found my true wheeled passion. I raced everything from XC and marathons to 8 hour races and multi-day stage races including the Crocodile Trophy and Tour De Timor. I love the freedom of mountain biking, the mental and physical and technical challenges that riding single trails present. 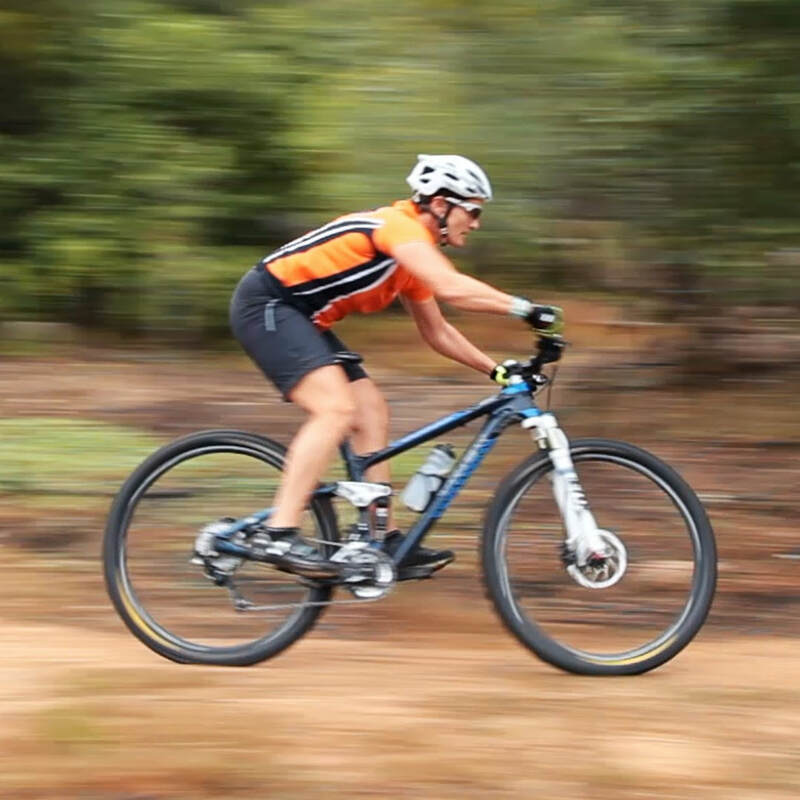 Mountain biking can make you feel invincible one minute, and totally vulnerable and the next. Over the past few years my focus has changed from racing to helping others discover the amazing world of mountain biking. My goal is to inspire the realisation that, with the right skills and tools, mountain biking can be safe. 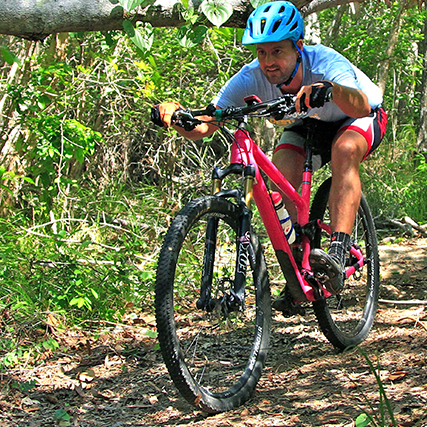 Mountain biking can be a sport for all ages. I've taught kids as young as 2 and adults as old as 84. Once you have the fundamentals dialed, mountain biking is safe, it's fun and it can challenge you as little or as much as you choose. 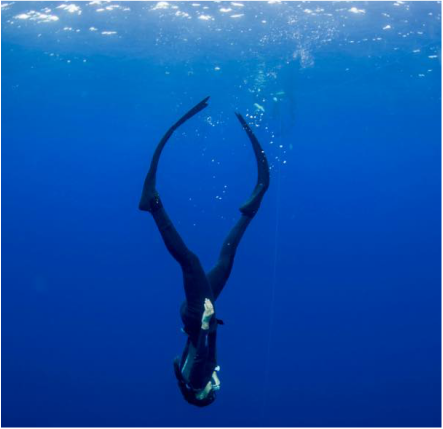 In its essence, Free Diving is breath-hold Diving. However these skills can be applied to any activity where you go underwater holding your breath, like snorkeling. It is an amazing and natural way to explore the underwater world and connect with mind, body and environment… even better, your body is designed to do this! I fell in love with Freediving on the first day of my first ever Freedive course. It was the the freedom and serenity of being underwater with no equipment that got me. Freediving has given me a way to really connect with the ocean. I am now a certified Freedive Instructor my current maximum depth is 46m (which I hope is just the beginning) and I want to share my passion for the water by teaching others how to be safe freedivers. Tim's (aka Timbo) background is Triathlons and Marathon running but he was soon drawn to adventures on the dirt! and has been involved in mountain biking for 5 years. Timbo has volunteered for the Townsville Rockwheelers Club for the past 3 years with Junior Development and held many skills clinics and rides. Timbo loves XC and endurance events!! Karey is a Personal Trainer (Cert III and IV) and Level 2 Intermediate Recreational Running Coach with Athletics Australia and also holds further qualifications in Community Welfare, Training and Assessment and Business. 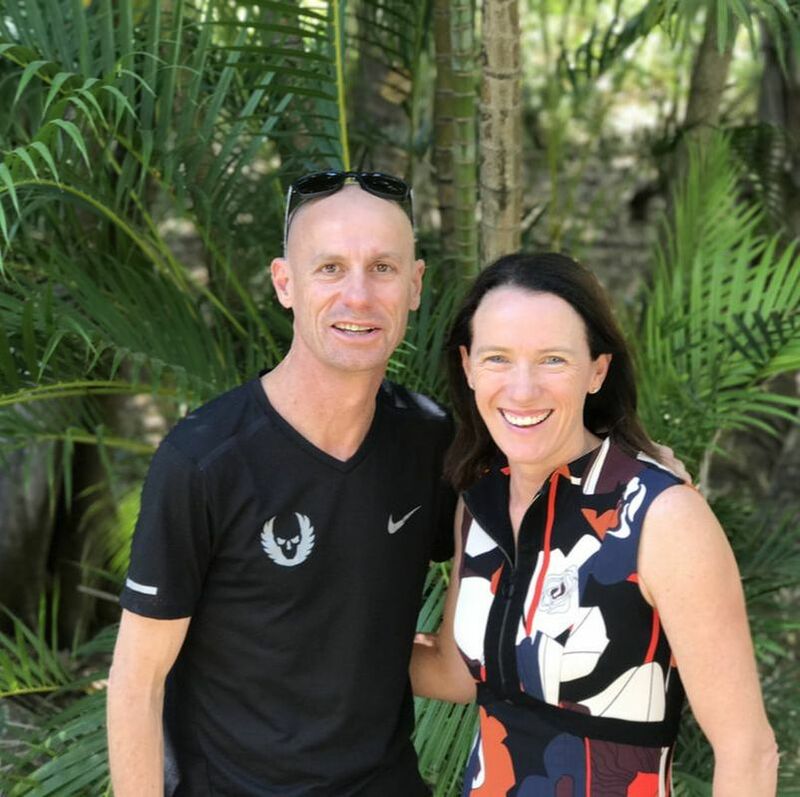 Karey has also spent eight years working as Manager and Master Fit Technician with The Athlete's Foot Townsville, developing a reputation as a "go-to" local knowledge expert on running footwear technology and its application. Karey’s love of running started at a young age and continued through to adulthood where she completed her first marathon in 2008. Since then Karey has completed seven marathons and in 2015 finished her first 100km Ultra Marathon at the Surf Coast Century in Anglesea, Victoria. 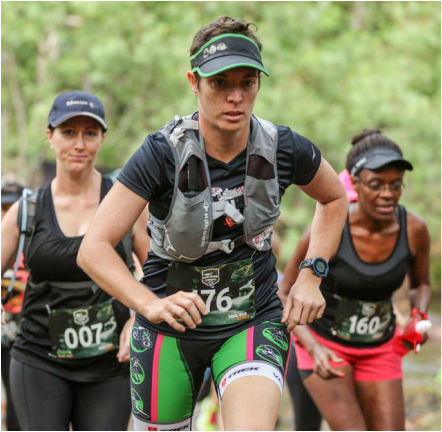 In 2017, Karey is aiming to tackle the 100km event at Ultra Trail Australia in the Blue Mountains, NSW and the Blackall 100km in the Glass House Mountains. 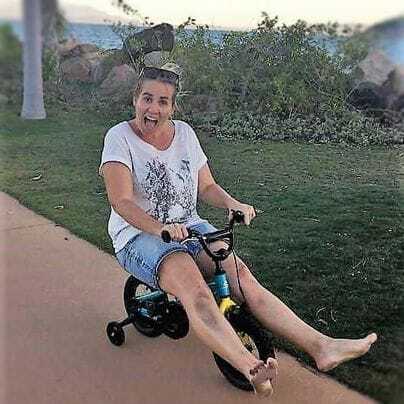 Karey is the founder of Runbirds NQ -Townsville's first women-only running group aimed at encouraging and supporting local women to start running and stay running. I love group fitness training, it's my passion and it's such a fun, energy filled way to workout. We provide a new workout every session and our feedback shows the variety is what keeps people coming back for more and as a bonus they are getting fitter and stronger at the same time! I have a Bachelor Degree in Recreation, Cert III (Group Fitness) and Cert IV (Personal Training) qualifications. I am also a Level 1 Crossfit and Mobility coach, I have completed the Australian Strength and Conditioning course and MTT Bootcamp Instructor Level 1 & 2 course. My interests include Crossfit, strength training, all outdoor pursuits and helping others improve their well being and achieve their fitness goals. ​​Dr Joann Lukins spends her day inside the heads of individuals, teams and organisations – seeking to understand what makes them tick and assisting them to reach their potential. A psychological Indiana Jones, she describes it as a truly fascinating career that she reflects upon and is grateful for every day. She holds a PhD in Psychology, has over 27 years experience, and a breadth of knowledge in the sport, organizational and educational domains. She has worked with elite athletes and outstanding professionals throughout her career, giving her a unique insight into the world of success. Dr Lukins is sought after as a presenter, interventionist and for her opinion in the media space. Knowing that she has made a difference in the lives of others is the ‘why’ of her work and the most satisfying element of her career. ​When not at work she most appreciates time with her family, is Personal Assistant to her two rascal sons and occasionally splashes about at the pool, runs around, rides her bike, takes photographs, and reads the odd book. I have been practicing yoga since the late 90’s, have been studying yoga since 2012 and teaching since 2014. I love the transformative power of the practice and the positive effects it brings to the physical form, the deeper physiology and most importantly the mind. I was not born naturally flexible, yoga has taught me a lot of acceptance and patience in understanding that life is transient, rather than fight it, try approach it with an open heart and an open mind and see what happens - knowing that every day will present a different set of circumstances. My yoga journey began with a focus on the physical, soon after I began noticing positive changes in my mental and emotional states; a more energized, stronger body and a clearer, quieter mind as a direct effect of the practice and knew that I wanted to share this insight with others. I have studied with multiple international senior teachers including Yoga Therapy in the Krishnamacharya lineage, Radiantly Alive Vinyassa, Yin Yoga, Yoga Anatomy, elements of Somatic Yoga and various forms of meditation and mindfulness practices of which I weave together to provide dynamic and well-rounded classes. My primary interest is Yoga Therapy. It has humbled me to acknowledge that no two bodies are the same; each body presents different physical, emotional and mental needs on any given day therefore requires a specific practice depending on age, background and capability. With the focus of bringing yoga to all walks of human life, no matter age, flexibility or athletic ability, I believe that if you have a body and can breathe, then we can adapt a yoga practice to suit your needs favouring function through the practices over form. This individualistic approach to yoga makes so much more sense to me. As a teacher, I am sensitive to this and meet my students where they are at in their own journey by challenging them to surrender their bodies and minds, to become more aware in each moment, each movement, each emotion and each breath. I assists in providing techniques and experiences that students can take with them off the mat into every aspect of their lives. I believe that by trusting in your own capabilities and the body’s intelligence, through yoga, anything is possible. 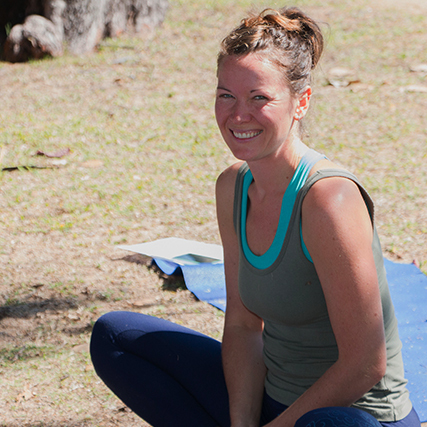 I share my passion for yoga and help others unlock their innate potential for change and growth to discover a better version of themselves, to reduce suffering, overcome personal challenges and find peace and stillness through the power of yoga practices. The endless potentials that are slowly revealed through a dedicated breath centred yoga practice and the endless potential that it offers continue to inspire me, grow me as a human and open up great channels for healing for myself and my students on emotional, physical and energetic planes. I grew up between Europe and the Middle East, with a childhood trajectory that took me from Italy to Syria to Switzerland. I’ve always had a passion for movement and nature, and became convinced from an early age that I wanted to be a marine biologist. Circumstances smiled and I arrived in Townsville, Australia in 1995. I still work as a marine biologist, in the capacity of a freelance consultant, but along the way a second path opened up for me when I was offered Iyengar’s book “Light on Yoga” and took my first baby steps on a yoga mat. I have been practicing yoga since 1996 and teaching since 2000. I discovered yoga after the birth of my first son in 1996. I practiced Hatha and Iyengar Yoga until 1998, when I went to my first Ashtanga Yoga workshop. It was ‘love at first sweat’, and since then I has been committed to daily practice. I am a direct student of Ashtanga Yoga guru Sri K. Pattabhi Jois, and more recently his grandson Sharath Jois, and have travelled regularly to Mysore, India, since 2001. I have their official authorization as a Level II Ashtanga teacher. I feel that the strong physical practice of Ashtanga Yoga has the potential to open the heart and calm the mind, enhancing self-awareness and overall wellbeing. Even though it is a dynamic practice, it can be made accessible to many levels of physical ability, so that as many people as possible may benefit from this practice. To learn how to adapt the practice to students’ needs, I have extended my studies to include Iyengar, Yoga-Synergy, Vinyasa and Hatha Yoga, and hold certification from the IYTA and Matthew Sweeney (Moon Sequence). ​When Daina first mentioned her vision for Destination Adventure, I knew I wanted to be a part of it! ​Bringing people to our slice of paradise, giving them a unique island adventure experience... who wouldn't! I am a Maggie local with a background in Events and Tourism. Having two young children, behind the scenes is where you can find me most days. I also help run the Mothers Day Classic Fun Run on the island and am passionate about getting kids active and outside!